Though she’s had bit parts in several films (Machete Kills , Sin City 2) audiences are most used to pop star poppet dressing in bacon, wearing house bricks tied to her head as fashion accessories and her kidneys as earrings. 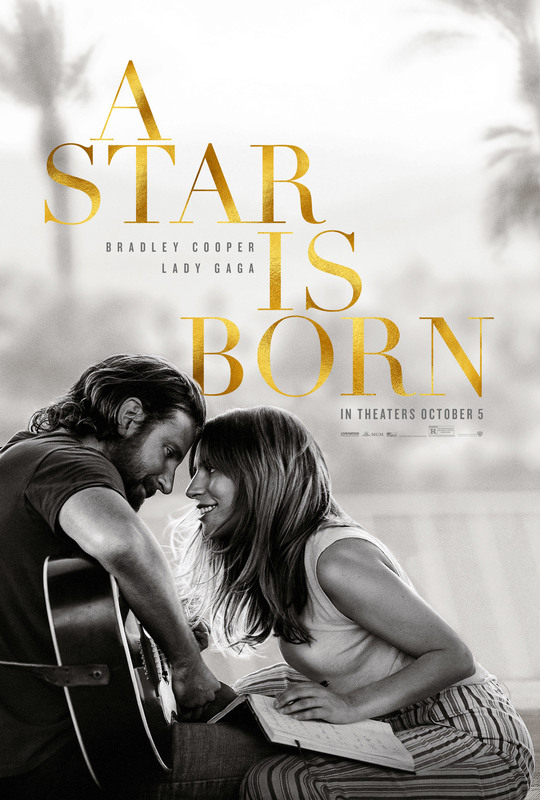 A Star is Born is her first lead role in a remake of remake of a remake and has been a long gestating project for actor and now director, the impossibly handsome, Bradley Cooper. 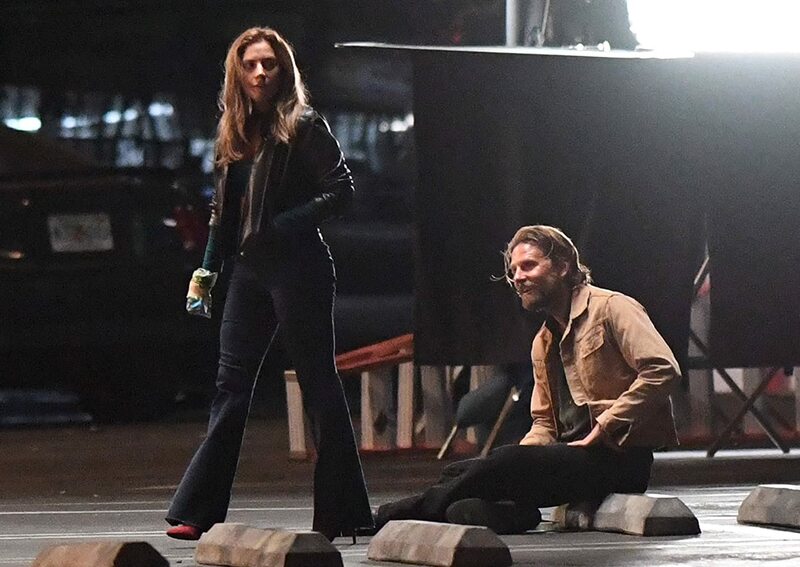 Cooper is Jackson Maine who from the moment we meet him about to go on stage is already on the road to ruin taking drugs washed down with booze. Coming off the adrenaline high of performing he crashes a bar to ply himself with ever more booze where he sees Ally (Lady Gaga) perform on a drag act night. Gaga’s strange androgynous look makes her frankly the most convincing bloke amongst the drag artists and gives a stunning rendition in French of an old torch song. Maine is understandably bewitched by her performance and a star is born. Meeting her backstage a mentoring friendship begins which quickly turns romantic and he takes her on tour. In one of the films great moments he pulls her onstage from the wings where she is watching him perform to a huge crowd and gets her to sing one of her own songs with him. For Ally it’s one of those dream come true moments where she gives it her all yet at the same time not quite able to believe the opportunity she’s been afforded. It’s a beautifully nuanced moment by Gaga as Ally. Their romance develops and as her star is on the ascendant his starts to wane much to the fact that his drink and drug abuse reaches industrial levels reaching its nadir at an awards ceremony when he humiliates himself and embarrasses her. Yet despite this she still loves him which is the heart of the story and is probably the soul of most Hollywood marriages where both are famous yet each struggle to keep up with each other’s fame and Maine’s already wilful, self destructive behaviour only fuels his jealousy of her success against his fading stardom. Maine’s already shambolic slurring rock star deteriorates further when he fires his manager Bobby (Sam Elliott) who isn’t afraid to tell him some home truths. Ally continues to be transformed from homely bar singer to ultra glitzy make over superstar with a powerful agent who in another powerful scene brutally reads the riot act to Maine rightly seeing him as a liability dragging down the superstar he is carefully nurturing. At over two hours this is a long but compelling remake and for Gaga it’s a star making turn and there’s a feeling that in part this may be autobiographical in reflecting her own struggle as she rose to the top. 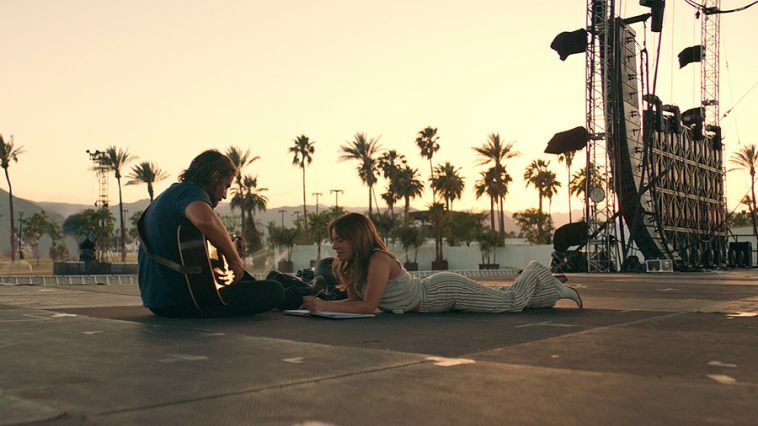 Cooper, despite being drink and drug addled remains ludicrously attractive but is just as good as Gaga and demonstrates that he is a more than capable director with live performances filmed at last year’s Glastonbury. There’s no CGI here. 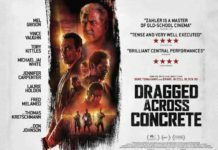 Gaga is ably supported by the truly hateful comedian Andrew Dice Clay as her father Lorenzo but here gives strong support as keen to see her make it as a singer. But A Star is Born is absolutely Gaga’s film in a role that she was made for and will stand comparison with unenviable competition with the earlier versions of the film that included Barbra Streisand and Judy Garland. Though it’s unlikely Lady Gaga will ever get a role she’s more suited for this is sure to get an Oscar nomination proving that as an actress a star is born. 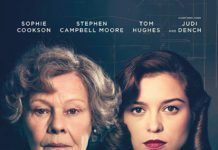 Was The Shape of Water copied from elsewhere?